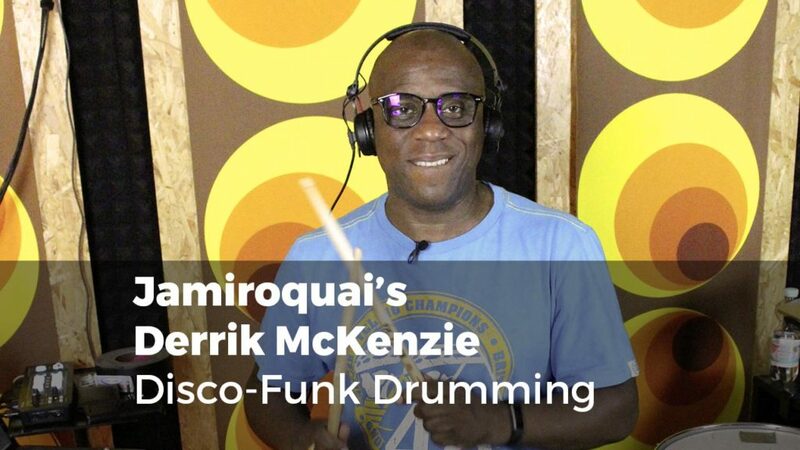 Derrick Mckenzie, long term drummer and band member of Britains most famous funk super group Jamiroquai, explains and demonstrates his approach on disco-funk drumming and what it takes to be a good band member. He performs Jamiroquai´s latest single „Cloud 9“ and explains his drum part. There is also one more songs, recorded at the drumtrainer studio, and a long interview. Enjoy this incredible groove monster!